“…And there’s that new show with the horribly offensive name,” said my professor. That moment stuck with me. We were discussing film and television I could incorporate into my capstone project on Asian-Americans being underrepresented and misrepresented in the entertainment industry. It was almost as if the show’s name was so offensive that my professor didn’t dare utter it. Was it because he isn’t Asian himself? Did he think it would offend me, a second generation Asian-American, if he said it? “Fresh Off the Boat” is the first sitcom to feature an Asian-American family since Margaret Cho’s fleeting, “All American Girl.” That show aired for a season back in the year my younger sister was born, a little more than 20 years ago. Think about this paradox: According to the Pew Research Center, Asian-Americans are the fastest-growing racial group in the United States, but made up a meager 4.4 percent of speaking characters across the top 100 grossing movies in 2013, according to USC’s Media, Diversity and Social Change Initiative. The number of Asians in film has been decreasing since 2008, when it was at 7.1 percent. This is in contrast to Asian-Americans accounting for 5.8 percent of the U.S. population and Asians, more than half of the world’s population. So while not a film, it’s great news that “Fresh Off the Boat” made its way onto a major network (ABC), right? I certainly think so, but instead of drawing positive attention, the show has been under fire for a number of reasons. This ranges from the show’s polarizing title to its potentially stereotypical content (still TBD) to its social media promotion. A few days ago, the show’s Twitter unleashed a graphic with caricatures such as a guy in a turban, a guy in a cowboy hat and a lady in a bamboo hat, as a way to promote the show’s premiere. The accompanying text read, “We’re all a little #FreshOffTheBoat.” As you can imagine, this was not well-received. The tweet was removed. 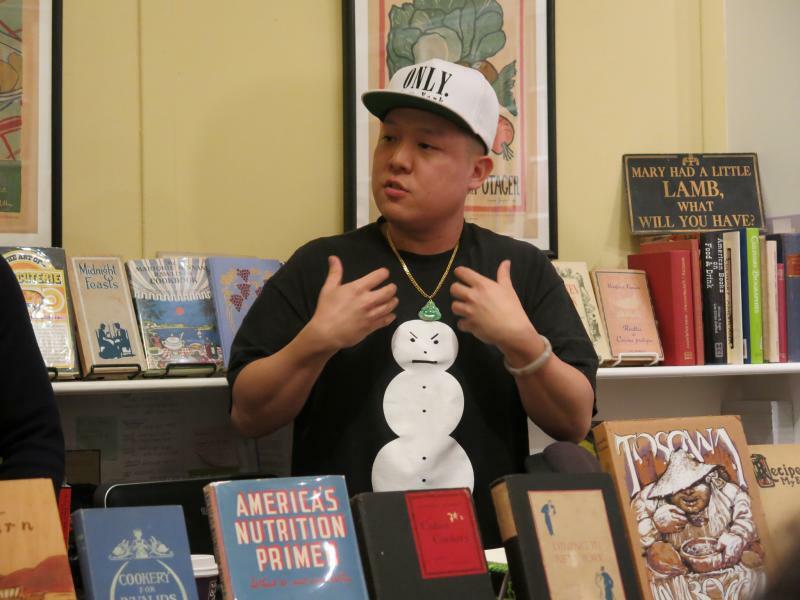 Eddie Huang is the celebrity chef on whose memoir of the same name the show is based. His memoir is often described as moving, raw, candid and sprinkled with his characteristic profanity. Few would argue that Huang’s tweet was on point. I don’t want my parents, who immigrated here in the late eighties — in a plane, mind you, not a boat — to be represented by a figure wearing a rice hat. No one should be reduced to that. However, a social media faux pas isn’t necessarily indicative of the show itself. The same goes for its contentious title. While the name may be offensive on its face, I don’t think it’s necessarily bad in context, and I don’t think this should discourage people from tuning in. Again, the title is based on a best-selling memoir of the same name. It’s not a name that some random, white studio executive happened to assign the show because, oh look, foreigners! Huang is the producer of the show, and was satisfied with maintaining that name. In a video interview on TIME, Huang defends the title. Among the Asians I know, even the international ones, the term “FOB,” short for “fresh off the boat,” is sometimes tossed around. It’s almost just a colloquially accepted term. Like many other racially charged terms and slurs, it’s been, in a sense, reclaimed, like Huang said. He uses it as a badge of honor. “You’re almost shamed into assimilation… I wanted to be fresh off the boat,” he told TIME. I thought about his words. In contrast, I wanted nothing more than to blend in as a child. “I’m not Chinese!” I would tell kids who would greet me with “Ching-chong-ding-dong” while pulling their eyes up into slanted slits. I would run home, tears burning, and complain to my parents. They would say, “Who cares? Be proud of being Chinese!” Easier said than done. I always just wanted my dad to kick their asses like he would sometimes half-jokingly threaten to do. It was difficult for child me to embrace my differences in this pervasive white culture. It was with me everywhere I went, whether that was down the street, in a classroom or in my living room, where pretty Caucasian faces populated the TV. I couldn’t have imagined seeing an Asian family, similar to mine, on the screen. I think about my younger self in Midwestern suburban hell. Now I’m in the poster city for America’s “Melting Pot” and the entertainment capital of the world. I think about the multitude of Asian-Americans I spot inhabiting this exceptionally diverse city. Why is it that I still only see white faces on TV? “Fresh Off the Boat” could be a game changer. The show has an entirely Asian leading cast and is based on a memoir written by an Asian-American. It’s an interpretation of Huang’s account of growing up in a similar community to the one in which I grew up and felt so out of place. The audience will hopefully be intelligent enough to apprehend that this is a depiction of a particular experience and isn’t universal across all Asian-Americans in the U.S. I haven’t seen the show yet, and can’t attest to whether or not it has distasteful stereotypes or panders to a white audience. If that is the case, it is definitely a problem and opens a new can of worms. This seems like bad, bad news, but Huang later had a change of heart and told NPR’s Rachel Martin that he feels reconciled with the show. He said that when he saw a commercial for his show during the Ohio State-Michigan game — a game he grew up watching — he felt he was truly a part of America. “For all I’ve said about never having a chance and never fitting in, it was worth it… I still want to push more and I will never forget where I want us to get. As a milestone, as a kind of quarter-mile mark… it gave me hope and promise for how much further we can go,” he said. Let’s hope Huang really meant it this time. 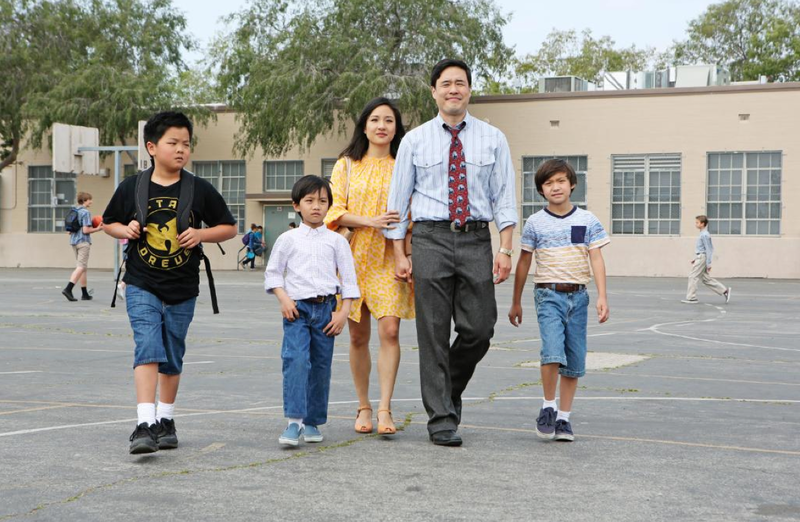 For now, I don’t think “Fresh Off the Boat” and its promotional content should get too much flak or be a deterrent to those curious about this show and the lives of the particular Asian-American family portrayed. What we need to focus on is that the show adds to the shamefully diminutive pool of Asian-American representation in the entertainment industry, and will likely pave the way for others. On behalf of kid Belinda and all of the non-white faces out there, that’s no minor feat.